Hi everyone! 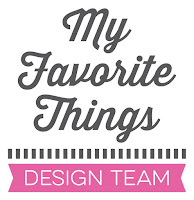 Today is the first day of the My Favorite Things February release countdown. This release is packed with amazing new products! You’ll love them! The new products will officially be available on the MFT online store on February 5th at 10:00 am EST (= Europe: February 5th at 4:00 pm CET). Most of the supplies I used for this project are linked at the bottom of this post. I created the purple night sky background using Distress inks that I sponged over a piece of white cardstock. The moon was masked using a circular piece of cardstock die cut from the Circle STAX Die-namics and fixed with removable tape. Once I was happy with the blending, I splattered tiny stars over the panel using white paint. I then removed the mask and stamped the sentiment over the white moon. The sentiment is from the Super Cat stamp set. I used the Mini Misti stamping tool and Black Licorice hybrid ink to get a nice and crisp print. 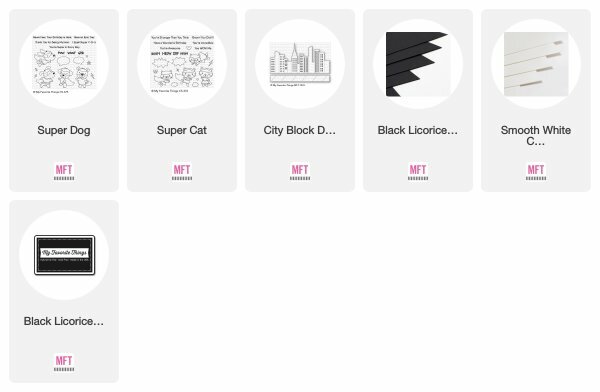 The cityscape was die cut from Black Licorice cardstock using the City Block Die-namics. I adhered all elements using foam pads for more dimension. That is amazing. Love love love it. I love this dark purple background. Super cute card!! I am always in awe of your creations, Francine, and this card is no exception. Love the night sky with the stars and of course, your Copic coloring is just amazing! I always look forward to seeing what you create....thanks for sharing, Francine! Your sky background is gorgeous, and the card is super cute. Beautiful night sky background, great card! I love how you colored the sky Beautiful! I love this card, and the background is amazing. Beautiful city night time in shaded purple with a Super Dog! 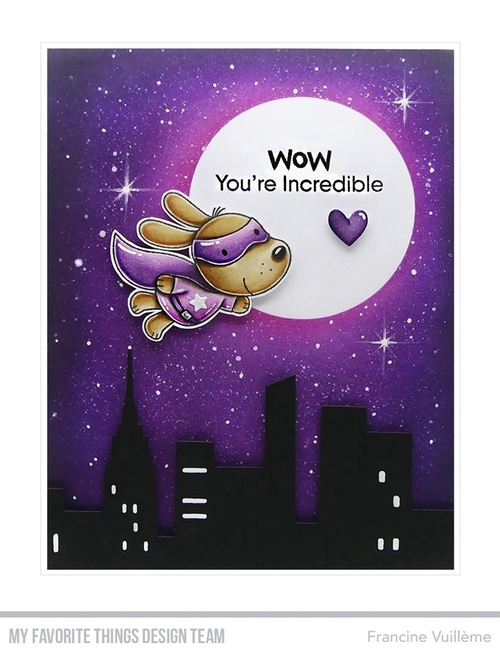 Such a charming card, love that super pup!! Awesome new stamps and dies! Awesome creation! I love this super dog flying above the city scape! Such an awesome card! love the color, love the dog! Incredible is right! Your galaxy sky is amazing and I love how you added the cityscape to your design! Such a fun card, Francine! Gorgeous card, Francine. Love the color combo, the scene... everything. :o) Hugs!! Please tell us how you made the 3 big stars with the points? LUV the card!! Love, love, love the night sky. Wow! This card is gorgeous! Love the beautiful background. Amazing card Francine! Your eyes are immediately drawn to the gorgeous night sky, that sweet Superdog and the city below. This is a favorite of mine. So creative. Thanks for sharing. This card was very cute. Your background was fabulous. This is my favorite! LOVE the colors and design. I've got to work on my backgrounds, love this.